Healthy eyes need to be moist, so the lacrimal gland — a specialised gland located under the outer one-third of the upper eyelid — makes tears. Each time you blink, the eyelid spreads the tears over the surface of the eye and pumps excess tears into a duct that drains the tears into your nose. That is why your nose runs when you cry. Watery eye or watering eye, where the patient produces excessive tears or tears flow down the cheek when they are not supposed to, is known as epiphora. It is very rare not to be able to overcome the problem of a watery eye caused by a blockage of the tear drainage pathway. Depending on the nature of the obstruction, the chance of success varies from 80 to 95 per cent. Most patients are completely free from watering or only experience watering in specific situations such as cold wind. Evaporative dry eye, or reflex tearing — perhaps the most common cause. This is set off by malfunctioning glands in the eyelids (the Meibomian glands), which normally secrete an oily material that forms part of our tears. This secretion helps retard the evaporation of tear water between blinks. When the glands are not functioning properly, the tear water evaporates quickly and leaves the sensitive cornea exposed. The tear glands then produce an excessive volume of tears as a reflex. That overwhelms the tear drainage system, just as it does when you cry. The lower eyelid sagging away from the eye (ectropion). Narrowing of the tear drain (stenosis). The drain,sometimes known as the naso-lacrimal duct, may also be completely blocked or non-functioning. 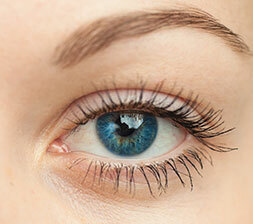 If it is blocked, it can lead to a painful swelling in the inner corner of the eyelids (dacryocystitis). Children born with blocked tear ducts — they have watery eyes and infection in their tears, causing a discharge to collect between the eyelids. These obstructions often resolve themselves without treatment within a few months. Pump failure, where the action of the eyelids and tear drainage system is reduced. This is often because weak or lax eyelids are incapable of forcing tears to the draining duct in the inner corner of the eye. Treatment depends on the cause of watery eyes. 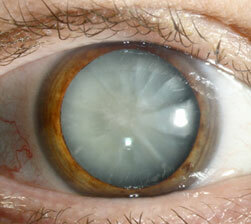 The cause of watering is determined in the eye clinic, including an assessment of the tear duct. Syringing of the tear duct takes place using topical anaesthetic to numb the surface of the eye and a fine cannula is inserted down the tear channel with a flush of saline (salty fluid) to determine if there is a blockage in the tear pathway. If there is no blockage, the saline will flow freely into the back of your throat and you will taste the salty fluid. A minor probing of the tear duct will usually fix matters if a baby is born with the condition and it does not heal itself without intervention. More specialist surgery may be needed if this is not successful. This can help when pump failure has taken place. The operation is usually performed under local anaesthetic. 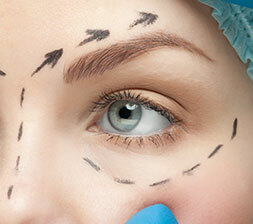 For patients suffering from outward turning of the lower eyelid (ectropion), this can be fixed with ectropion surgery. These prevent drying of the eyes that leads to excessive production of real tears. There are a variety of artificial tear preparations available. Some patients prefer one over another for their own reasons, so it is a good idea to try different preparations. If the tears need to be used more frequently than four times a day it is better to choose a preparation that is free of preservatives. Mr Kamalarajah can advise which preparations to try and often carries out a lubricant trial when identifying the main cause for a watery eye.